Small Business Website: Basic information with usually under 20 pages and stock photos will cost between $1,000 and $5,000. Medium Business Website: A more in-depth website with over 20 pages, custom graphics, and some web spices could cost between $3,000 and $10,000. 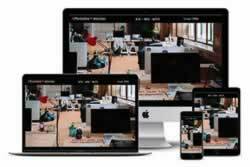 Large Business: Large sites often need multimedia or custom scripts created. These could cost between $3,000 and $20,000. depending on their intricacy. Domain Name: Your domain is the title of your website, the URL that gets people to where you want them to go. Our rate for new domains run from $15-$20 annually, and you can add privacy and prepay a few years in advance. Website Host: Once you have your domain name, you need to find a place to host your site. Our hosting range from $10-$20 per month. 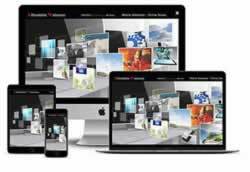 Content Management System: Your CMS is what you use to display articles, videos, and photos on your site. It isn’t necessary, but it will save time because it is easy and efficient to use. Depending on which you choose, it could be minimal in cost (like the ever-popular WordPress) or custom ones can cost a few hundred dollars to build. SSL Certificate: The secure socket layer, or SSL, is the certificate that encrypts sensitive personal information that is exchanged on your website. If you ask for personal identifying information anywhere on your website like a form or in an e-commerce store, you MUST have an SSL certificate. Our SSL certificate starts at $69 a year. Stock Photos: Professional looking pictures can turn a simple design into an awesome masterpiece. We use a couple of outstanding partners for our stock photos as well as a subscription to a paid stock photo library. Premium stock photos start at $11-$60 per image. Custom Graphics: The cost for our graphic services is just $60 an hour with 1 hour already added into the basic rate. Content: Unless you’re a writer, it’s beneficial for your business to let us write some content for you using our professional team that specializes in SEO to create content for your site. The cost for content creators is from $30 to $75 per article, press release or page content. Maintenance: If you want us to make the changes for you, the cost for this starts at $60 a month. Website Security: *Google will blacklist sites that could be considered dangerous to visitors, which makes it nearly impossible for people to find you. Adding this service will identify and resolve any blacklisting issues, so there’s no interruption to your business. The average cost for this is from $10-$25 a month. 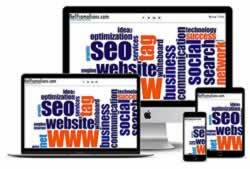 Search Engine Optimization: SEO is a series of tasks that help your website rank higher within search engines. Check out this article for SEO best practices for digital branding. SEO costs vary per agency or freelancer, but it can cost about $500 up front, and then about $200 – $500 per month on average for maintenance. Pay-Per-Click: PPC advertising is the ad that you’ll find on the sidebars and banners of websites and Google results. Targeted ads help businesses get increased traffic on their website and are a quick way to get more people visiting. The cost for PPC really depends on your budget. You pay for every ad clicked. The cost for that click depends on the cost of the keyword and how many other people are bidding on that same keyword. Social Media Management: The Essential Duties of this service is to manage social media activity and day-to-day activities including: Developing relevant content topics to reach the company's target audience. We combine our experience of search engine optimized(SEO) content writing with an effective social media posting tool to create this effective service called social media management. We currently post to your twitter, facebook and/or linkedIn accounts up to 7 times a day. We gather content from you directly, your website and from our team of content writers after researching your industry. Our rate for this service is fro $60 to $100 a month. When you hire our mobile web designing and development services, you will be able to get a competitive edge over the competition.